By Andrea Timpano·	 6/20/2017, 3:04 a.m. 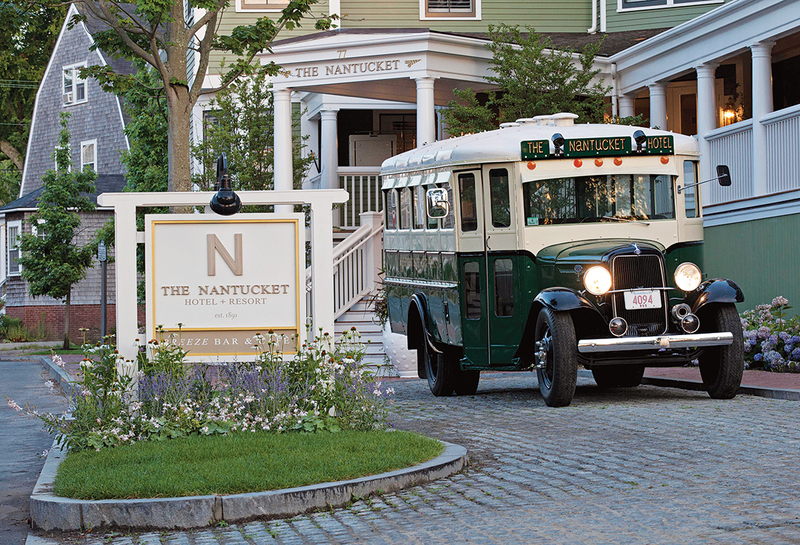 Stepping off the ferry and onto the peaceful shores of Nantucket, it’s easy to feel like you’ve traveled back in time. That’s probably because the tiny island—a designated National Historic Landmark—is bursting with nods to the past, from centuries-old cedar-shingled buildings to charming cobblestone streets. 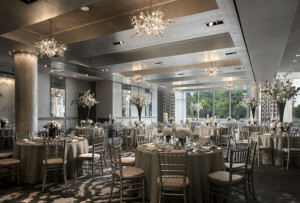 “Our wedding clients love the simplicity and authenticity of the Gray Lady,” says wedding planner David Handy, principal at David M. Handy Events. 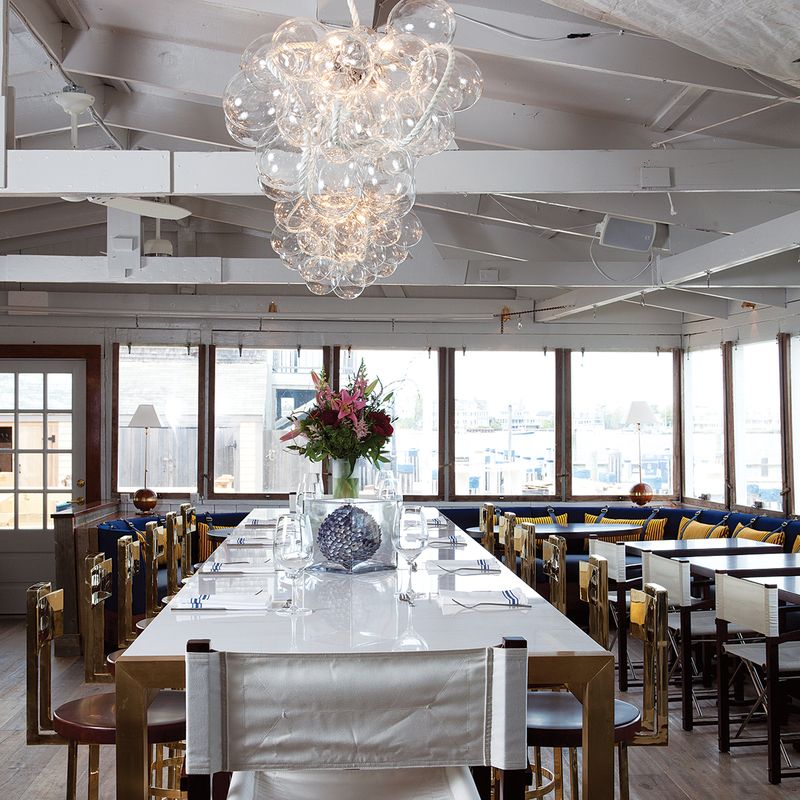 For a celebration that truly honors ACK’s roots, gather friends and family at the Nantucket Whaling Museum, which pays tribute to an industry that was once the island’s lifeblood. 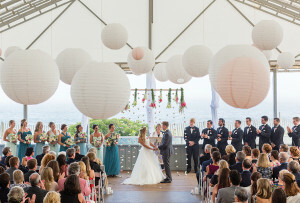 Say your “I do”s on the rooftop observation deck, then head downstairs to the airy main hall, where you can party with one very special guest: a 46-foot whale skeleton suspended from the ceiling. A different kind of whimsy awaits down the road at Westmoor Farm, a family-owned estate perfectly suited for an extended wedding weekend. 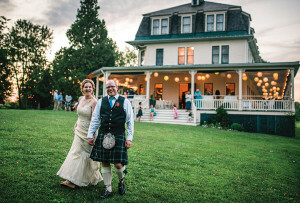 Quiet and secluded in all the right ways, the lush, flower-dotted property—ideal for tented receptions—features two event-ready barns and room for 30 overnight guests. Have something more traditional in mind? 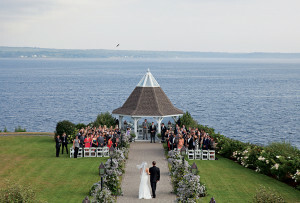 At the Wauwinet, a 19th-century hotel set along the island’s northeastern shores, couples can choose from a variety of celebration spaces, including a stunning waterfront lawn. After all, nothing says “Nantucket wedding” like dancing the night away against a backdrop of crashing waves. 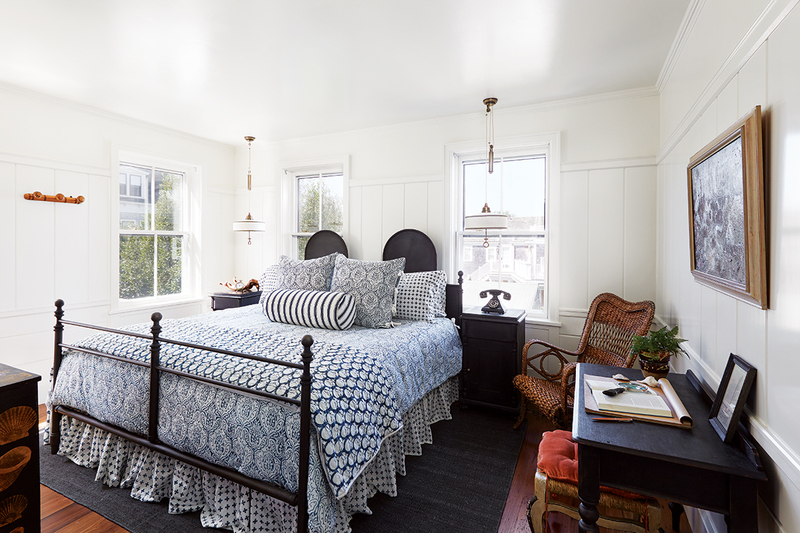 Boasting reclaimed chestnut floors and custom Roman and Williams furnishings, the chic rooms and suites at the recently opened Greydon House are sure to impress even your most discerning (read: picky) friends. Explore ACK—and warm up those dancing muscles—with Nantucket Bike Tours, which hosts guided rides for cyclists of all ages and abilities. Play it safe with the 3-mile “Family Adventure” excursion featuring beaches and lighthouses, or challenge your squad with a 17-mile trek to quaint Siasconset. 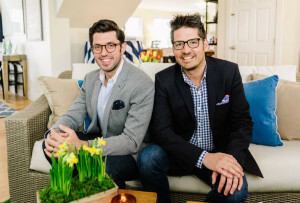 As its name suggests, Nantucket Clambake Co. offers classic seaside fare such as clams on the half shell and buttery lobster— all freshly prepared at your venue with the help of a traditional fire pit. Give guests a taste of the sweet life with Aunt Leah’s chocolate-covered cranberries, elegantly packaged in small boxes adorned with your name and wedding date. 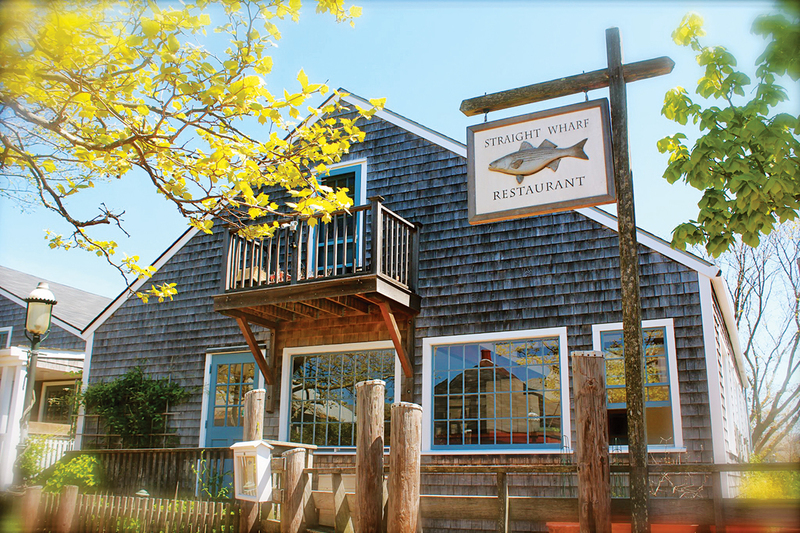 Plan a celebratory meal on the open-air deck at Straight Wharf Restaurant, where you can dine on local swordfish and other fresh seafood while taking in the sights of the surrounding harbor. 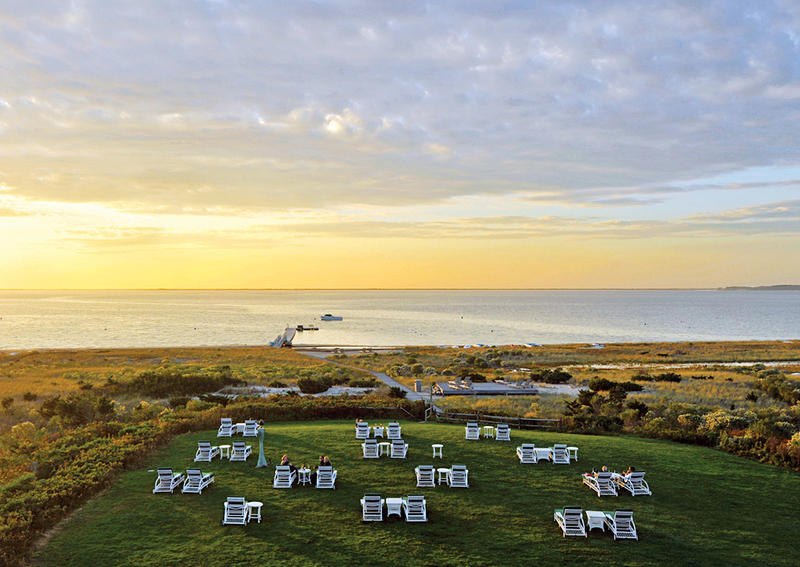 Kick off your first days of wedded bliss at the historical Nantucket Hotel + Resort, where you’ll find plush guest rooms decked out in island-themed décor, two heated swimming pools, and treatment rooms for those oh-so-necessary postnuptial massages. Start your day with a complimentary yoga or barre class at the resort before walking to nearby Affordable Rentals to pick up your Jeep. You’ll want it for an off-roading adventure to the pristine beaches of Great Point, located at the edge of the Coskata-Coatue Wildlife Refuge on the northern tip of the island. Home to a famous lighthouse, the retreat (a favorite among locals) is also inhabited by migratory birds and a playful throng of gray seals. When you’re ready to rejoin civilization, head back downtown for oysters and cocktails at Cru, right on the waterfront.